Open your HiFi system to digitally-stored music. 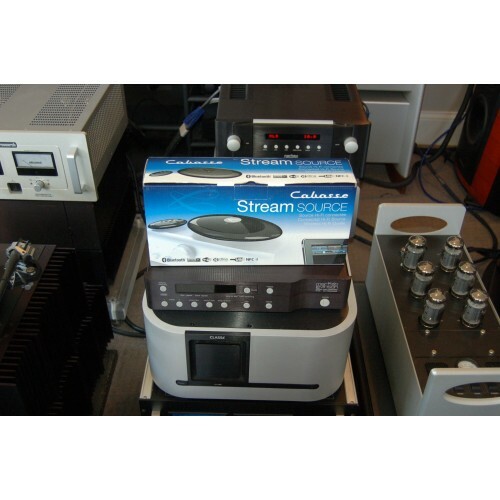 Thanks to a high performance digital to analog converter, Stream Source supplies your HiFi system with the best of your audio files. Like Stream 1, get instant Bluetooth connection with NFC smartphones and tablets. Using the USB input and the integrated DLNA software, connect any USB stick containing music files to the home network for instant playback on your streaming device. 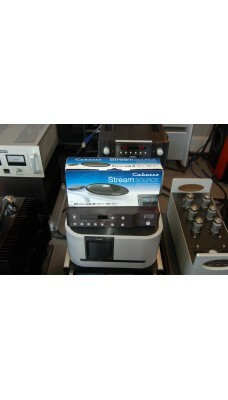 Stream Source makes it possible to connect and stream media to existing stereo amplifiers through a WiFi or Bluetooth connection. It also makes it possible to integrate traditional Hifi systems with the Cabasse multi-room ecosystem. Stream Source works with the StreamCONTROL application, available for mobile phones and tablets (Android and iOS only) as well as PC (Mac and Windows). Choose Stream Source if you are looking to stream digital media in any or every room at home without compromising quality of sound.